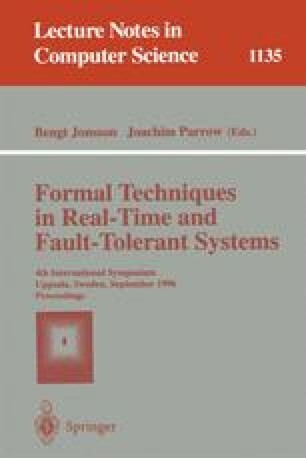 This paper applies and refines the ProCoS approach to transformational design of real-time systems to a benchmark case study, the Karlsruhe production cell [10, 9]. We start by formalizing the informal requirements of [10, 9] in Duration Calculus and end with a distributed controller architecture where all components are specified in the program specification language SLtime . Novel is the full treatment of hybrid system components in a parametric and thus reusable way. This research was partially supported by the German Ministry for Education and Research (BMBF) as part of the project UniForM under grant No. FKZ 01 IS 521 B3.